Let’s face it – Christmas is all about kids. But let’s not forget that special someone who sometimes gets a little neglected and overlooked in all the hullabaloo around the festive season. No, I am not talking about mums – you actually get a lot of love in the grand scheme of things, thank you very much. Dad puts up the tree, does duty on the barbie, makes sure the pool is sparkling clean – and so much more. With this in mind we scoured the land for ideas for every kind of dad – from gadgets to balms (come on, it is 2015) and bacon flavoured toothpaste (yes really, but more on that later). Our selection is also proof that dads are really easy to shop for – just remember – no socks, handkerchiefs or cheap cologne. How easy is that? Dad needs something to remind him he is alive? Skydiving will definitely do that and then some. Hurtling towards the (fast approaching) earth will be one gift dad will never forget. RedBallon have options across the country ($575), with two tandem skydives included in the price. Who wouldn’t want to skydive over the beach? All he has to do is jummmmmmmmmmp! 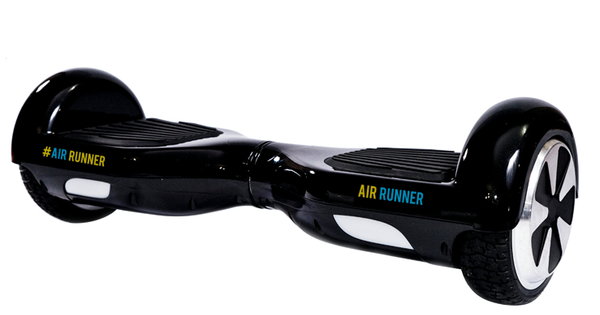 If the dad in your home wants to make like Back to The Future then the Airrunner should definitely be in his stocking. Controlled by using your body weight, dad simply leans (forward or backward) to speed up or slow down. And I know he will love slipping ‘pressure movement technology’ into just about every conversation he has. This ‘personal transportation device’ ships worldwide and retails for £499.99. For all dads training for the Tour de France (or even if he cycles once a year) a ‘Burn Fat Not Fuel’ tee from Cycology could be the next best thing to wearing the yellow jersey. It comes in at just $39.95, with free shipping worldwide. 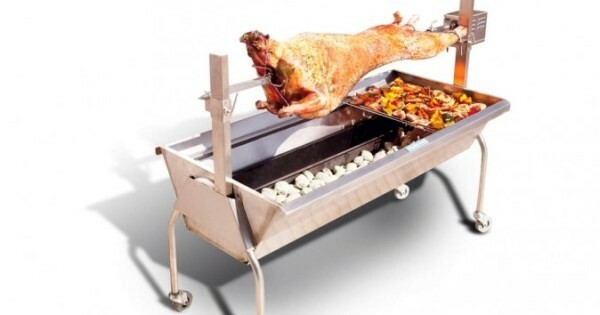 For the dad who takes his outdoor cooking really seriously, a Viking Spit ($999) screams “I love meat and I can feed a small country!” Sporting commercial 304 grade stainless steel, three cooking grills and a powerful 240V fan cooled motor, this unit is sure to produce perfect results every time. So go on, invite the whole block around – you could actually feed them with this baby. And if the dad in your life takes a charred approach to everything he slaps on the barbie, it might be time to go back to school – BBQ School. 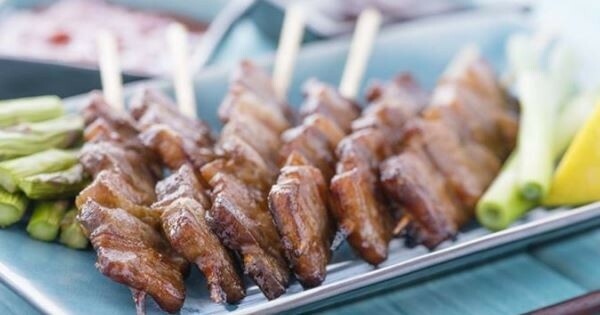 With classes starting at $120 per person, dad could enrol in an introductory session (BBQ for Blokes) or get specialised training in BBQ Meat, BBQ Seafood or BBQ Tapas. They also run beer and food matching sessions. It’s one way to make sure the next barbie is actually edible. For the dapper dads out there, who always like to look their best, a bespoke shirt (that is, made to measure) is definitely going to make them smile. 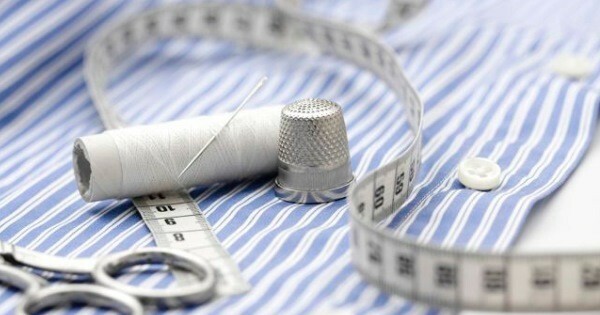 After he gets measured and chooses his fabric, the shirt is hand sewn right here in Sydney, Australia. With prices ranging from $250 to $300 (depending on fabric), he is sure to tell all his mates his shirt is b-e-s-p-o-k-e. 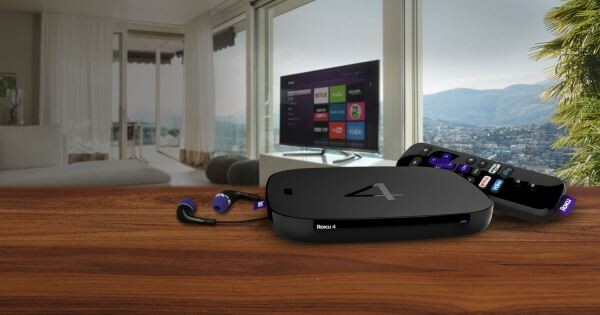 In my experience there is nothing like a gadget to get a dad all hot under the collar, and the Roku 4 (US$130) should definitely do that. This svelte box is one of the most versatile streaming devices out there, giving you access to more than 2500 channels and 300,000 movies and TV episodes, including favourites like Netflix. And it supports 4K Ultra HD. Enough said – I want one, Santa! OK? 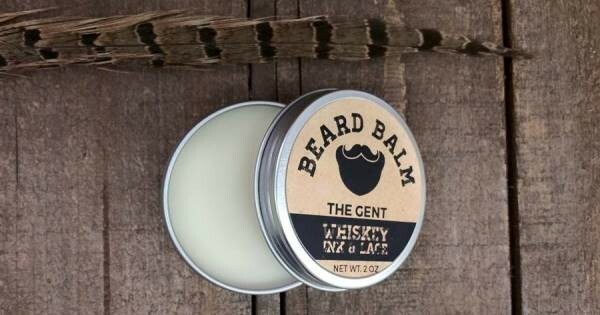 For all those hipster dads out there – and for those who have always sported facial hair, how about treating your precious follicles to some beard balm? Not only does it act as a leave-in conditioner and styling cream, but it’s organic and, wait for it, scented with whiskey. I am sold. Just US$15 and they will ship here. Last but by no means least, here’s one for the dad who absolutely loves smoked meats. 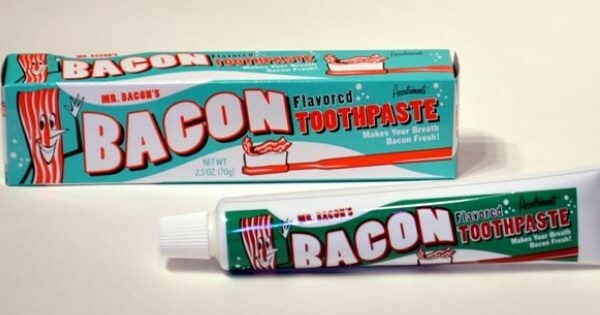 Why not let him indulge his love with a tube of bacon toothpaste ($12.95) – yes, you heard right. Just run this one by mum beforehand – she obviously needs to share his love for all things bacon, especially after brushing in the evenings. There’s no need to panic about Christmas gifts – we have plenty of ideas for Christmas here at Babyology. Make sure you don’t miss our other Christmas Gift Guides for more festive fun.